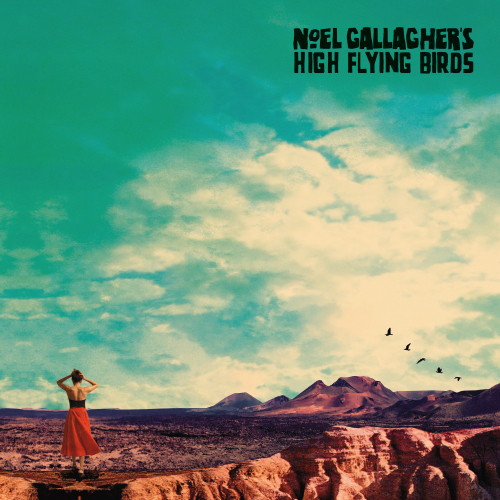 A few nights ago Noel Gallagher appeared on Later...With Jools Holland to perform a few tracks from his forthcoming album Who Built The Moon? 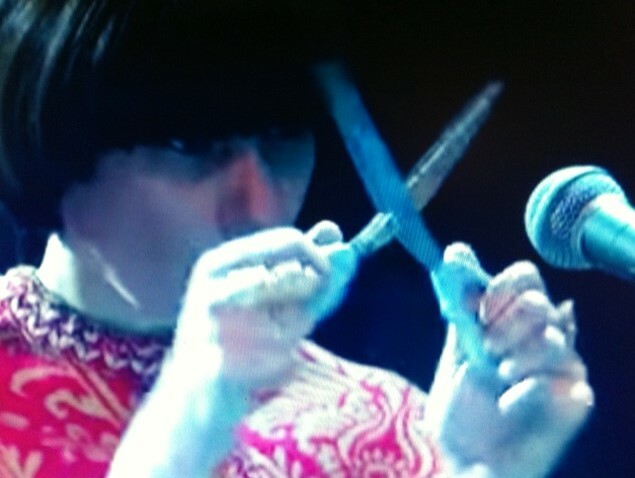 The star of the show turned out to be Gallagher's new band member - a red-caped scissors player. Though the scissors didn't seem to add much to the sonic zen of the song, it sure did gain Gallagher a ton of publicity. It was only a matter of time before Liam Gallagher was asked to weigh in on the matter. As you might expect Liam wasn't a big fan of the scissors and wryly told BBC 1 host Greg James "I'm gonna have someone sharpening a pencil at my gig." Then went on to say it was "a bit strange" and "it's all right if you're 20 and off your head on mushrooms...but the guy's 50 now...and if he really is trying to convince people that playing scissors is the right way to go about business, he needs to have a big, long, lie down." "He needs to have a big, long, lie down man." Gallagher's performance was geo-blocked in North America, but an unofficial video of the performance has appeared on You Tube. Watch the scissors in action below while you can.